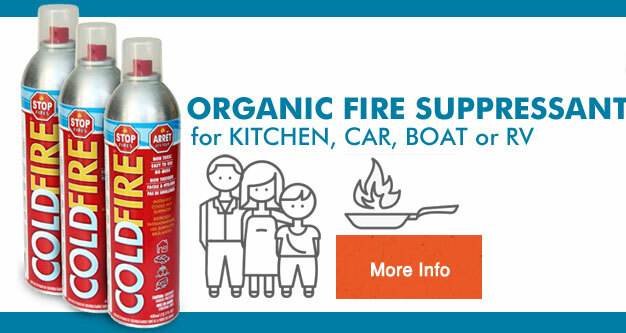 An organic way to effectively suppress large & small fires. Welcome to Cold Fire Canada Ltd. the exclusive Canadian distributor of environmentally safe products. Our top selling product is Cold Fire™, a totally organic fire suppression wetting agent that takes the heat out of fire. 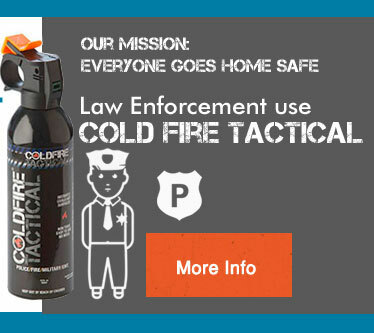 Cold Fire™ can save your life and your property. From 275 gallon containers for fire departments to 13.5 oz spray canisters for your kitchen, car, boat or RV, Cold Fire™ will extinguish a fire quicker and cleaner than any other extinguisher. Fire Block™ is a specially formulated, environmentally friendly product used to retard fire in all Class A materials, by forming a thermal insulation barrier that prevents dangerous flames from spreading. Odor Seal™ gets rid of the toughest odors quickly, safely, and effectively. Odor Seal™ works by encapsulating the odor, rather than masking it with fragrances or perfumes. Motor MAX™ is the amazing green solution to high gas prices and engine wear. It works as a radiator super coolant to improve the fuel economy for gas and diesel engines.